If you have recently decided to build a home and want to be as eco-friendly as possible, then you should consider using recyclable materials. Many people are surprised to hear that most homes can be built from the ground up with nothing but recyclables, and that practice is great for the environment. Here is a look at four ways that you can use recyclable materials during your home construction. Even though porcelain is a popular building material, the tiles can give off VOCs when they are being cut to size. Glass tiles, on the other hand, are made from old pieces of glass that don’t contain any dangerous toxins or chemicals. Many companies now make these tiles out of old solar panels and windows that have been removed from skyscrapers. There are a few different reasons why some constructions companies only use concrete that has been made with fly ash. In addition to being completely recyclable, ash concrete is also very easy to work with. This type of concrete is a great option for buildings that are going to be exposed to extreme temperatures as well. When the temperatures rise and drop throughout the year, traditional concrete could potentially crack. After recycled ash is added to concrete, the final material is much denser and stronger. Investing in second-hand flooring is another great way to adopt recyclable materials into your home construction project. Used cypress pine is sought after by many people because it resists rot and doesn’t harm the environment. Some other good flooring options that you might want to consider include Baltic pine, bamboo, and Oregon timber. All woods used in second-hand flooring are made more durable by the recycling process, making it overall an excellent option for those who want wooden floors that last long and are environmentally sustainable. For many years, tree bark was an unwanted byproduct created by the lumber industry, but that has recently changed. Recycled tree bark is now being used as siding because it is eye-catching, durable, and sustainable. As an added bonus, tree bark is also a great form of insulation. When bark siding is backed by a vapor barrier, it will limit heat transfer throughout your home, and that is going to lower your monthly energy bills. Sustainable construction materials are more affordable than ever, and using those materials to build your home is a great way to reduce your impact on the environment. With a little bit of research and some planning, you might be able to design the home of your dreams with nothing more than recyclable building supplies. Living greener can benefit both you and the environment. One of the best ways to adopt an eco-friendlier lifestyle is by making some modifications around your home that will be better for the ecosystem. Here are four tips to turn your home into a safer setting for the planet. Various appliance and utility options will save you long-run costs, make your home more sustainable to maintain, and help the environment. Here are just four options to get you started on improving your home. Some of the best heating, ventilation and air conditioning systems to be developed in recent years are designed specifically to save energy. The standards for energy efficiency in HVAC systems in general have been raised, making more modern systems more cost effective and more environmentally friendly. Even with the reduction in energy use, your home’s indoor temperatures and air quality will still be regulated properly with the right system. Many of the top-rated HVAC systems nowadays feature programmable thermostats that can be set to turn on and shut off automatically instead of running continuously and wasting energy. If you’re looking for additions to your home or trying to build a new home from scratch, using recyclable materials will put less strain on the planet’s natural resources. CBS News reports that certain homes are made from bricks that consist of glass, clay, and ceramics. Some of the remnants from demolished houses can also be salvaged and used to construct a new home. Recycled steel for the supports are both affordable and eco-friendly, and recycled timber can be used for new floors, cabinets, ceilings, and anywhere that new timber could be used. These recycled materials often are more durable, as well, making them both cheaper to buy and cheaper to maintain, as well as being more environmentally friendly. Human waste that travels through your pipes into a public sewage system may end up being untreated and released into local rivers or lakes or the ocean. To prevent this problem, you can have a domestic treatment tank installed on your property. For domestic use, miniature sewage system plants are installed underground on your property, safely treating and disposing of your home’s wastes. They are cost-effective, as well, as you only need them cleaned every 3-5 years, and otherwise are their own little ecosystem, using natural bacteria to maintain themselves. As lawns and gardens are becoming more lavish, more foreign plants are being introduced to environments that they are either ill-suited to or else could dominate. Seeds from non-native plants can spread to the local environment and create harmful competition for the natural plant life in the area. Not only are native plants safer for the surrounding ecosystem, but they also won’t need as many resources to survive, as they are able to draw from the natural environment around them. Native plants are also likelier to have adapted to surviving local pest infestations and won’t require the use of as many pesticides. Overall, using plants that are native to your area is more cost effective and safer for the surrounding ecosystem than bringing in foreign plants. While not all aspects of maintaining the environment can be controlled by individual homeowners, there are some small decisions in the construction and maintenance of your home that can majorly impact the environment for better or worse. With the right modifications, you’ll be able to turn your home into a setting that helps promote more longevity for the earth and your family. An efficient HVAC system in your home can help keep the temperature more consistent and save you some money. There are a variety of ways that you can go about ensuring its efficiency. Here are some of the tips that you can employ in order to maximize the efficiency of the heating and cooling system in your home. Changing out the air filter regularly will help to keep your unit operating at peak efficiency. More air exchange allows the unit to work more efficiently. Another thing that can help is to have your ducts and registers cleared of debris. You want as much of the hot and cool air to be able to get into the living spaces of your home. Adequate air exchange is another consideration, as you want air circulation that can be achieved without creating different temperature climates around the house. Upgrading your older unit will also maximize the efficiency of your home. The energy rating calculates the average energy usage over the course of the year. If you have a poor energy rating, looking into new ac installation companies can help you save money—especially since newer appliances tend to be efficient. It will increase the comfort level in your home and most likely pay for itself in lower energy costs. A programmable thermostat is another way that you can control the temperature in your home. There are even thermostats that learn about your habits, so that they can more closely regulate the temperature. These types of technology assistance programs are becoming popular means and can help you maximize the energy efficiency of your home. Some apps will even let you control the temperature of your home when you're away. There are the standard means that you can maximize your energy efficiency. These include things like using environmental options to help regulate the temperature in your home. Opening up the windows at night when it's hot or blocking out the sun are some of the ways that you can reduce your cooling costs. You don't have to run your HVAC system all of the time when there are free methods to maintain your comfort. Take control of your HVAC system so that you can become more energy conscious. Another bonus of increasing your energy efficiency is saving some cash. Use these tips to keep you started down a more energy efficient path. Not only do new windows make your home look and feel updated, they can also do a lot for the energy efficiency of your home. If you upgrade your windows, your home could become more efficient and your bills could get lower. Old windows can be drafty especially if they are not installed correctly. New windows reduce the draft and can make it easier for you to keep your home warm in the winter and cool in the summer. It’s important to recognize that drafty windows can cause huge changes in your electric bills. When companies like Valley Glass Utility install new windows, they do so with double panes. This is the standard for replacement windows and new-build windows now. Double panes are more energy efficient because of the way they trap heat inside or cool air inside. They can help reduce your energy bill. There are not any insulating properties in old glass windows. Along with it being single-paned most of the time, there might also be issues with the way the glass was put into the windows. Even if you have a home that wasn’t built too long ago, the windows may not have all the insulating properties new windows do. It’s important to get new windows so they can act as another barrier against the outside. They need to be able to help your home stay warm or cool while also providing protection from the elements. Heating a home with old windows might seem impossible. Since they don’t trap heat like they should and they’re not efficient, you might not be able to have the best heating system in your house. For this reason, many older homes feel like they’re cold all the time. Getting new windows might make it easier for you to heat your home. The right windows will allow your home to heat up and can make it easier for you to take advantage of a great heating system when you were unable to do so in the past because of drafts or other issues in your home. Not only are window replacements a good idea to change the aesthetics of your home but they’re also great for increasing the efficiency. If you want to see drastic changes in your energy bills, upgrading to new windows is the way to go. The amount you pay for energy can directly affect your profits. This is especially true if you own a small or medium-sized business because of the way the profit structures work. If you want to lower your energy bills, you can start out with focusing on the efficiency of your business. There are different things you can do to protect your business from huge spikes in energy usage! Lights can be one of the biggest draws on energy. Harsh fluorescent lighting isn’t just hated by employees all around the country, it’s also expensive to use! You can switch your lights out for LEDs that are just as illuminating as their fluorescent counterparts. You will get more life from the LED bulbs too. Whether you have air conditioning in your office or not, it’s important to make sure the climate control works the right way. Using a system like a ducted reverse cycle air conditioning is a great way to make sure you’re getting the most out of the energy you use. Find a system that’s energy efficient and use it the correct way to get the most out of it. Computers, printers and other office tools can use a lot of energy. You may want to switch your computers out for ones that are energy efficient. There are other things you can do to ensure you are saving energy with your computers and other equipment. It might be a good idea to make these changes so you don’t have to worry about the issues that come from having energy-draining computers and other equipment. Get all your employees involved with energy efficiency. Encourage your employees to make small steps with you so they can help make the office more energy efficient. It may be a good idea to create small rewards so employees have something to work for when they’re taking steps toward a more efficient office. Making huge changes all at one time will have a big impact on your office, but it can be costly and complicated. If you want to make sure you’re doing the best job possible at making your office more energy efficient, make small changes. By making your office more efficient, you’re setting yourself up for a better profit margin. The more energy efficient your office is, the more you’ll save on energy bills. Due to the stress that using oil, coal, and other resources has on the environment, finding ways to incorporate renewable energy solutions is very important. Today, there are many great renewable energy options, including solar and wind technology. Overall, there are five states in the United States that are continuing to make renewable energy investments a priority. The state of Maine continues to be a leader when it comes to renewable energy. A very impressive 75% of the state's energy comes from some form of renewable energy. The state has a strong mix of hydroelectricity plants, biomass uses, and wind energy plants. All of these help to contribute towards the overall strong levels of renewable energy, which continues to make Maine one of the greenest states in the country. Traditionally, Montana has been very well known for its high level of coal production. While five percent of the country's coal comes from this state, Montana has continued to invest in other renewal energy solutions as well. Today, the state continues to invest in hydroelectric plants that are able to use water to produce electricity. While it is not normally considered an environmentally-friendly state, Nebraska has taken many steps to improve its reliance on renewable energy. Overall, more than 20% of the total energy used in Nebraska comes from renewable sources. This state has a huge amount of wind-energy production and also is a leading producer of ethanol. Located in the northwest, the state of Washington is the national leader in hydroelectricity. Overall, more than 2 million households across the state are connected to energy produced by a few different dams. Even more impressive is that the state actually creates a surplus of energy, which they then sell to some neighboring states and even some parts of Canada. Oregon continues to be a leader when it comes to renewable energy production. This state does produce some hydroelectricity, but is also well known for producing a lot of wind energy. Overall, Oregon has more than 2,000 turbines that produce the most wind energy in the country. Oregon is also continuing to look for additional ways to invest in renewal and solar energy projects. Overall, all of these states are looking for ways to use more and more renewable energy. With help from technologically sound companies, like douglaselectrical.com, many other states can make headway on this hot-button issue. If more states are willing to make these types of investments, it could help to solve many current and future environmental challenges that we are having. Being a green office is more than just good for the environment. You can save your business some money be investing in these green and clean solutions. Here are some tips to get you started on making a greener workplace. Contrary to popular belief, you don’t have to print out your emails. This practice is not only wasteful, but time consuming. The whole point of moving to an electronic, paperless system is supposed to be that you use less resources. This means that there’s less overall waste in the workplace. This is good because you have to purchase less paper as well as being a greener and cleaner solution for your workplace. Encourage your employer to invest in a recycling program at your company. The only difference is the type of can that items are discarded into by employees. This has the benefit of being better for the environment and making everyone feel good at the company. When you stop to consider the costs of disposing of all the waste that’s generated at a business, recycling just makes economic as well as ecological sense. You may be able to reduce the monthly cost on your garbage bill. Start up a program in which employees use reusable cups for both water and coffee while at the office. This will also reduce the amount of waste that’s generated in the workplace. Another solution is to invest in greener cleaning products. These types of cleaners generally produce less air pollution and residual chemicals on surfaces. This is a good thing if you have employees that suffer from asthma and other types of lung conditions. The second part of developing a cleaner work environment is to have proper air filtration that removes or eliminates the amount of contaminants in the environment. There are a variety of kinds of products that can be used to achieve cleaner air in the workplace. Employees that work in a healthier environment are less likely to take as many sick days during the year. This can start to add up to a real savings for the company. There are lots of ways that you can promote a cleaner and greener workplace. Look around you so that you can decide the best course of action when it comes to becoming more eco-friendly. There may even be tax incentives that you can take advantage of in your endeavors. Solar energy has become more popular in recent years because of its many advantages. Instead of getting power from electricity or gas, solar energy comes directly from the sun and can provide your home with adequate power. Here are five of the main reasons why you should consider switching to solar energy. Even though you’ll probably need to invest a large amount of money to have your solar equipment installed, solar energy will likely end up saving you a lot of money in the long run. Gas and electricity are more expensive power sources, and switching to solar energy can reduce your utility bills dramatically. Since the power comes from the sun, no additional expense is needed to harvest the energy other than the money that you put into your own equipment. Some states also offer incentives and tax breaks to people who choose solar power. This is done as a way to encourage and reward people for using renewable energy. According to the Solar Energy Industries Association, a policy known as the solar investment tax credit (ITC) allows you to claim a deduction on your federal taxes. Solar energy is considered to be a much cleaner power source because it doesn’t harm air quality or emit other pollutants that can harm the land and water. You won’t be releasing carbon emissions into the air and increasing your carbon footprint when you switch to solar energy. Since solar energy is renewable, you’ll be putting less strain on the planet’s resources when you use it. The resale value of your home will likely increase significantly when you use solar energy. Your solar panels will give your home a more modern look and make your property an attractive investment for potential buyers who want to save money on energy costs. A solar panel installation company can install equipment in a way that will look aesthetically appealing for your home and possibly attract more prospective buyers. You can even do your part to help your local economy by creating more jobs when you use solar energy. Other people in your community may be enticed to switch to solar energy, and this may increase the number of jobs by putting more demand on the industry. Many solar energy positions are highly specialized and can’t be outsourced, which can also help the American economy. You’ll be doing something good for yourself and the world around you when you choose solar energy. Switching to solar energy will be one of the wisest investments that you’ll make for your home. The earth is currently going through a lot of challenges. This includes global warming, extreme weather, pollution and more. If these challenges are to be overcome, it’s going to require action from everyone. This certainly includes homeowners. There are steps you can take as a homeowner to lessen your impact on the environment. Below are four strategies for making your home more energy efficient. One of the biggest drains on your energy efficiency is your heating, ventilation and cooling system, also known as an HVAC system for short. According to Derek Sawyers Smart Energy Heating & Air, your system should probably be upgraded if it’s older than 15 years. Newer HVAC systems run much more efficiently. This means increased energy efficiency and lower utility bills every month. Another idea you should consider to increase your home’s energy efficiency is upgrading your light bulbs. Traditional incandescent light bulbs run very hot. This means they use a lot of energy and also wear out much faster as well. Newer compact fluorescent bulbs, on the other hand, run much cooler when producing the same amount of light as incandescent bulbs. According to the US Department of Energy, compact fluorescent lights use 25 to 35 percent of the energy that incandescent lights do. They last significantly longer as well. Another source of energy inefficiency in your house could be your windows. Older windows especially tend to leak a lot of air. This means that your furnace will have run much harder to keep your home heated during the winter. It also means your air conditioner will have to work much harder to keep your home cool during the summer. If your windows are significantly old, consider upgrading them to more energy efficient windows. Many people run their HVAC system too often. This wastes energy and results in high utility bills. Instead of running your system all the time, program your thermostat so the heat or air only runs when it’s needed. You, for example, don’t need to run your air conditioner as much when you’re at work and your kids are at school. The carbon footprint of homes certainly has an adverse effect on the environment. If everyone took the steps outlined above, however, some of that negative impact could be curbed. Don’t stop here. There are plenty of more strategies you can use to increase your home’s energy efficiency. There are lots of perks to installing more energy efficient windows in your home. Some of the benefits provide more of a cost incentive than others. Here are just a few of the reasons that having more energy efficient windows will be good for your home. One of the best benefits that you can receive from a monetary standpoint from new windows is that your heating and cooling bills can be lower. New windows tend to be more energy efficient. This means that you’ll most likely notice less drafts around your house. Older windows often allowed air to enter and exit your home freely. This meant that it was costing you more to maintain the temperature in your home. Newer windows are better at warding off temperature fluctuations in your home. What this means for you is that you can more easily maintain a consistent temperature throughout your home. A comfortable home is more of a luxury when it comes to the costs associated with installing more energy efficient windows. Look into using a company like Edelen Door and Window to help you through the process. You may be surprised to learn that energy efficient windows can also make your home quieter. This is because they’re better sealed and tend to be better at dampening the sound. That means that not only does less sound enter your home, but less sounds will leave your home as well. You don’t have to worry about the neighbors complaining about your loud movie night with the family. One of the new features on energy efficient windows is that they provide better shielding from solar radiation. You can even add an extra layer of shielding to reduce solar radiation from entering your home. It’s the solar radiation that can cause your flooring to become discolored over time. This is even more apparent if you have wood flooring in your home. Areas that are protected from the sun tend to be lighter in color than those that are exposed to the sun. There are of course the better known reasons that installing energy efficient windows is the right choice for your home. Consider some of these lesser known perks if you’re torn about whether to spend the money on new windows right now. Your home is an investment, but you should also enjoy living in your home for years to come. When you want to save money while using your home’s furnace this winter, you must make sure that the climate-control equipment is operating efficiently. In some cases, you can fix a heating system on your own with a do-it-yourself repair, but alternatively, there are times when you should contact a professional heating and cooling technician. Here are five ways to make sure that a building’s heating system is operating efficiently. You can read a heating and cooling company’s website to learn more about furnace repair. Companies such as Logan A/C & Heat Services Inc., often have informative blogs that will help you determine why a furnace costs too much to operate. When you notice that your heating bills are increasing, read the information at the blog to troubleshoot the problems with your furnace. It is essential to change a furnace’s filter once a month to have clean air, but this will also help the warm air to circulate optimally through your home. Make sure to understand the correct size of filters for your heating system. When you are shopping for filters, buy extra to have throughout the winter to avoid any trips to a home improvement store during a snowstorm. In addition to mopping floors and vacuuming carpets, you should clean your home’s venting system each week. Use a dust wand to reach inside the vents to remove cobwebs and household dust that collects inside the items. You may also need to wash the vent covers to remove a buildup of debris that prevents proper airflow. Walk through your home to check all of its windows are closed completely. If the windows have latches, then make sure that the items are turned in the correct direction to seal out cold drafts that can lead to a colder home. When the caulking around the window frames are degraded, use liquid caulking to fill the openings to make your home’s furnace more efficient. It is important to uncover all of your home’s vents by removing any furniture that is in front of the items. You should also make sure that long draperies or rugs aren’t covering the vents in each room. If you have piles of clutter covering the vents on the floor or walls, then you should clean your home. When a furnace is making strange grinding or squealing noises, this indicates that the equipment requires lubrication or a new part. Without a fast repair, you might spend more money on your monthly heating bills because the furnace is not operating optimally. Working on a furnace’s mechanisms and components is complicated, so calling a knowledgeable technician is the best plan for fixing your home’s heating equipment. The price of electricity seems to be going up every year. Energy usage is a variable cost that the vast majority of Americans are responsible for. The cost of energy can vary by region, time of year, and how the electricity is generated. There are a few ways that homeowners and renters can take charge of their electricity use. We will go over some of the best ways to do so in this article. In order to reduce your monthly payments to the energy company, you must reduce your total energy usage. This will ensure that you are less dependent on outside energy if you decide to make the switch to self-generation. A good way to cut your energy use is to install a smart system. This system will help you to monitor your energy use and find out where you are expending the most electricity. A smart system can also self-manage and turn off lights, thermostats, etc. When not being used. Replacing older appliances can also go a long way towards reducing energy use. Many states and even the federal government offer rebates and discounts for people who opt to replace their old, inefficient appliances with more energy efficient versions. The power reductions are nice and many people take advantage of these programs to get an upgraded unit at a subsidized price. Upwards of 80 percent of the United States is currently considered viable for solar power, and that number is growing. The cost of solar panels, installation and maintenance has dropped over the past decade, largely due to consolidation at the top of the market and emerging technologies. Solar panel installation is now as common as a satellite dish or roofing job. A solar system has never been cheaper to install, or more efficient at generating and storing power. The only way to truly take charge of your electricity usage is to become independent of the grid. Solar power allows you to use sunlight to generate power for your home instead of drawing from the grid. In some states you can even send energy back into the grid for a payment or credit towards your next bill. If you want to become truly energy independent solar power is your best bet. The sun showers our planet with massive amounts of energy 24/7, it makes good ecological and financial sense to use that energy to become less dependent on the grid. Making an industrial workplace more energy efficient can seem like an impossible task. Don’t get overwhelmed. There are things you can do to ensure your workplace is as energy efficient as possible. If you’re heating and cooling your industrial workspace, you could be wasting a lot of energy. Unless it absolutely needs to be heated or cooled, you should make sure you are using as little energy as possible on the heating and cooling. If you absolutely need to have your space climate controlled, you should consider using a system that is more energy efficient. If you don’t have an industrial transformer, your industrial workplace is not as efficient as it could be. You need to make sure the transformer is designed for the things you need and that has to be a part of what you use to make it the best it can be. You also need to consider where it is and how much of a load there is on it. Even industrial transformers might get overloaded if you don’t have the right size. The equipment you use in your industrial workplace can have a huge impact on the energy in the workplace. It’s important to be sure you’re using the right equipment that has the most energy efficiency. No matter what you plan on using, you can get better efficiency if you have the best equipment possible. In an industrial workplace, employees doing things can make a huge difference. By getting employees involved, you can help them make the right choices to lower their energy usage. You may also even be able to reward them for the best energy usage options if you want. Small steps can make a huge difference for people who are in an industrial space that is big. It’s a good idea to take small steps to help your workplace save energy and get more options from the efficiency. There are things you can do—like getting automatic restroom lights—that will save energy in your building. Small steps can make a world of difference. While there are many things you can do to help increase the efficiency of your industrial workplace, using all these steps will make it the best it can be. It’s a good idea to try different things to see which works for your efficiency. The warehouse is a very important element of the supply chain for nearly any company that produces a tangible product. However, a lot of money can also be lost with how businesses maintain their warehouses. Part of this loss comes from a lack of energy efficiency. This inefficiency can also have a negative impact on the environment. With this in mind, below are some strategies you can use to keep your warehouse operations more energy efficient. One of the biggest expenses and energy wasters for warehouses is lighting. Heating and lighting together account for 64 percent of energy use in most warehouses. Investigate different strategies for bringing lighting costs down. Implement more cost efficient choices like LED and T5 lighting. Also add motion sensors so lighting is only activated when it’s needed. If your warehouse is automated, you may not need to run the lights at all. Heating costs also take up a large portion of warehouse expense. Old furnaces and boilers do not run very well. They expend a lot of energy to heat a huge space like a warehouse very slowly. You should consider updating to a more energy efficient choice such as a fire tube steam boiler. Such a boiler can provide more energy efficiency compared to other boiler designs thanks to the use of many small tubes that provide more surface area to be heated for the same amount of boiler volume. Temperature control is a big expense for warehouses. If a warehouse is not kept at a specific temperature, it may result in the spoilage of the goods stored within. Energy use for heat and air conditioning to maintain those temperatures in such a big space can be substantial. One way to lower the burden of your heating and cooling system is to check windows and doors in the warehouse to see if there are any gaps allowing cool or warm air to escape. Installing things like weather stripping may fix the problem. Overall, you may not be aware of all the many different ways your warehouse is wasting energy. This can impact the environment as well as your bottom line. Make sure to perform efficiency audits on a routine basis to assess if there are any steps you can take to increase your warehouse’s energy efficiency. You may be oblivious to some of the lead causes of your warehouse’s energy inefficiency. Solar panel installation is becoming a major sensation among some of the smartest property owners out there. If you’re a property owner who is serious about minimizing energy expenses and doing great things for the environment in general, then you’re without a doubt a strong candidate for residential solar panel installation. If you want to install home solar panels without a hitch, you need to think things through carefully in advance. Determine whether your roof can accommodate solar panels in the first place. Roofs that are usually under the shade may not be the best fits for these panels. If you realize that your roof isn’t optimal for solar panel installation, you may want to learn about community options that may be accessible in your area. It’s critical to get your property 100 percent ready for the installation process. Think about residential enhancements that can cater to your designated power system and solar panels. Contact a professional to schedule an in-depth roofing system evaluation. It’s vital to ensure that your roofing system can manage any and all upcoming load requirements. Analyze home renovation ideas that may be on the horizon for you, too. People can pick between a couple of key solar panel choices. These are thermal and photovoltaic paths. Both technologies work differently. Thermal employs sunlight for air and water heating applications. Photovoltaic, on the other hand, employs groups of cells as a means of transforming sunlight and making it electrical. If you employ significant amounts of energy for residential heating applications, thermal technology may be ideal for your lifestyle. That’s because it may pay off particularly rapidly. It’s crucial to seek professional assistance from experienced, knowledgeable and dependable solar panel installation experts. Look for businesses that are equipped with all necessary certifications and licenses. Look for businesses that have choice track records in your area, too. Never give your time to a solar panel installation company that doesn’t make you feel completely comfortable. Request helpful references from recent installation customers. 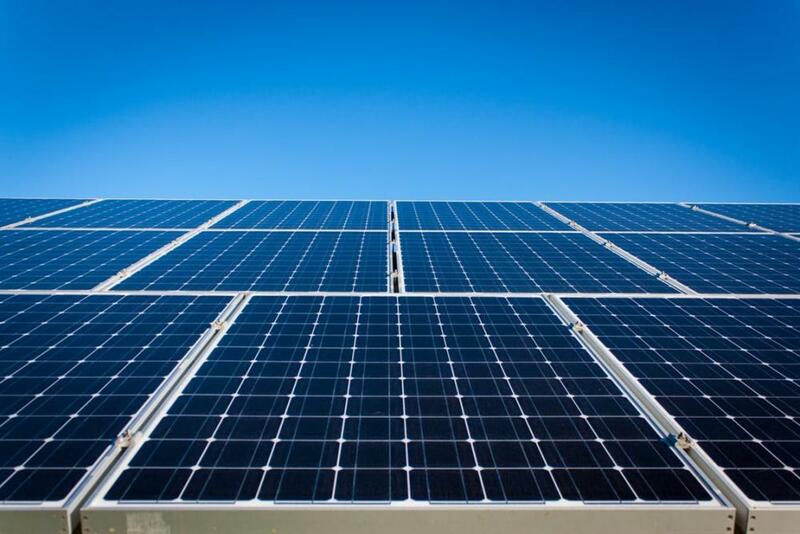 Solar panel installation can give you a future that’s all about energy efficiency. If you want to install solar panels in a reliable and effective manner, however, you need to recruit suitable professionals for the job. Rock-solid installation work is paramount.